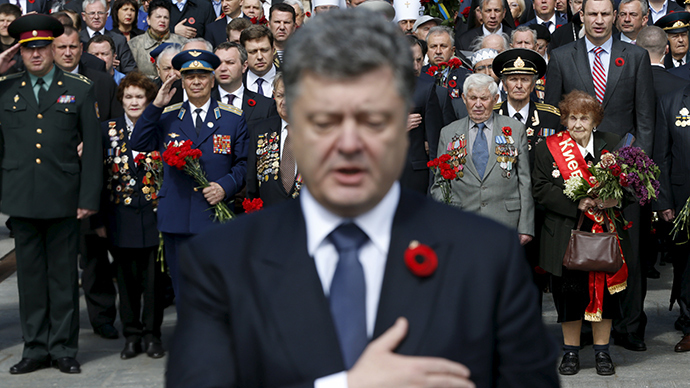 With President Petro Poroshenko marking one year in power, RT’s Murad Gazdiev examines how the Ukrainian leader has done in keeping his promises. The president of Ukraine, who had vowed in his election campaign to unite the nation in times of civil war, had his message of peace change over the course of the year. Days after winning the election his tune had changed – Poroshenko vowed to classify the self-proclaimed Donetsk People's Republic as a “terrorist organization worldwide." “The anti-terrorist operation shouldn't and won't last months, it should and will be over in hours,” Poroshenko said in May 2014. Year ago Poroshenko elected President of Ukraine promising rapid war end, total prosperity & EU integration. Instead, corruption & nepotism. Among other grand promise made by Poroshenko last year was that "from the start of 2015, all Ukrainians will have the right to visit EU countries without a visa." The bloc's leaders are yet not in a rush to help the president stay true to his words regarding the matter. Despite Ukraine's hopes for EU integration, the recent Eastern Partnership summit did not result in agreements on any new immediate EU memberships, with the bloc not expressing readiness to welcome eastern non-member partners, including Ukraine. As the proverb has it, promises lead to debts. Under Poroshenko's rule, inflation in Ukraine is now 60 percent higher, with both GDP and industrial output down, by 17.6 and 21 percent, respectively. But there's still time to fix it, as Ukrainian president is elected for a five-year term.